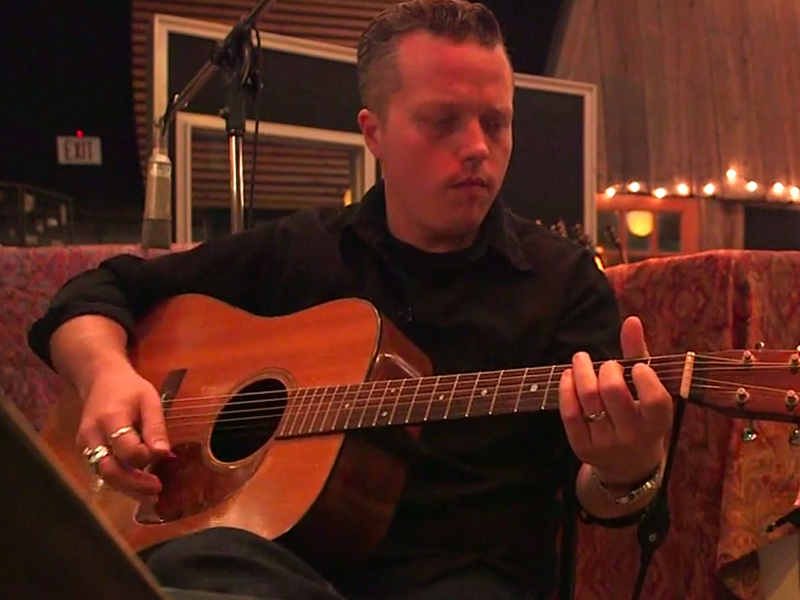 Grammy-winning singer/songwriter Jason Isbell sat down for a very candid interview with CBS This Morning’s Mark Strassmann over the Father’s Day weekend to reflect on being a dad to his 21-month-old daughter, touring, dealing with addiction and his new album, The Nashville Sound, which dropped on June 16. “It was so bad that I can’t have one drink ever again. That’s gotta be pretty bad,” Jason said, when asked about the drinking habits that led to his dismissal from the Drive-By Truckers in 2007. That low point was followed by a trip to rehab in 2012, marriage to Amanda Shires in 2013 and the birth of their daughter, Mercy, in 2015, as well as critical and commercial success as a solo artist, culminating with two Grammys in 2016. Now, on the heels of the release of his new album, Jason has embarked on a six-month international tour.